The mission of our church library is to provide materials supporting the spiritual and intellectual pursuit of congregation members and friends. 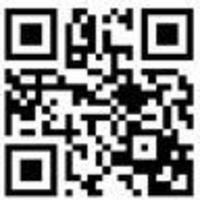 Click to access our entire library catalog or scan the QR code. This tool lets you search or browse our entire collection online. Our collection is organized by call number, so be sure to note the call number for the item you'd like to check out the next time you are at church. To check out an item, take the card out of the pocket located at the back of the item. Fill out the card and put it in the “Checked Out” container. When you're done, put the item in the “Return” basket.